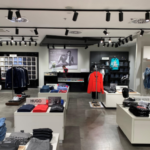 The new store spreads across 749 sqm, offering a wide range of fashion apparel, footwear and accessories, for women, men, young adults and children. Koton was founded in 1988 in Istanbul and is today the market leader within the fast fashion segment in Turkey. The retailer currently operates 512 stores worldwide. Within the South East Europe region, Koton currently also operates stores in Albania, Bosnia and Herzegovina, Bulgaria, Kosovo, Macedonia and Romania. NEST retail park is the first retail development in Serbia by RC Reinvest, the subsidiary company of the real estate developer RC Europe. The retail park of 5,000 sqm has been operating since the 1st of December 2017. Its tenant mix includes Delhaize, Waikiki, Deichmann, Takko, Intersoprt, Nefa, Top Shop and Caffe. RC Reinvest aims to further expand its retail park portfolio in Serbia under the brand name "NEST". The company is scheduled to open its second NEST retail park in Obrenovac in the first quarter of 2019. This will be followed by three openings in the towns of Vršac, Ruma and Užice. Founded in 2005, RC Europe offers development, management and consultancy services to clients in the Czech Republic, Romania, Serbia and Croatia. 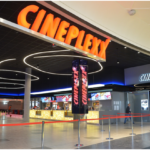 The company specializes in the development of business, retail and supermarket projects. Its clients include Teso, Penny Market, Billa, Lidl, PROFI, OBI, OKAY, Deichmann, CCC, PEPCO, Gate, JYSK, Pompo, Sportissimo and many others. Visit our Company Database to connect with company representatives.